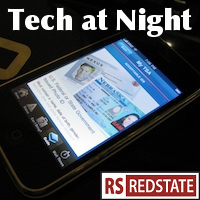 Tech at Night: Still talking about copyright. Barack Obama still fails to lead on ITU. It’s funny how the same House Judiciary Committee that took up SOPA is now taking up IRFA, opposed by a growing list of groups including Taxpayers Protection Alliance, ATR, CAGW, and ACU. SOPA of course would have grown government in the name of strengthening copyright. IRFA makes government meddle more in a way that weakens copyright. And not in a good way, either: IRFA would not encourage innovation or content creation. It just favors Internet broadcasters over everyone else. Also yeah, the RSC paper on Copyright that I backed before it was wrongly pulled, it is not a statement against property rights nor is it against copyright at all. If the side favoring ever-lengthening copyright cannot argue honestly with us, and has to mischaracterize those of us who favor an approach to copyright that balances the interests involved, then that to me suggests a deficiency in their position. I’ll tell you this though: You lose me fast when you ally with actual anti-copyright anarchists, freeloaders, and all-around nutballs like the Pirate Party. That’s a bright line. This is your reminder that SOPA was a solution looking for a problem, by the way. I’ve long said issue polling isn’t very useful, since with the right parameters you can get conflicting answers to the same issues, so I don’t put much weight on this poll on the Marketplace Fairness Act. Again and again we find that the rhetoric from the big boxes in favor of this bill is appallingly bad, pushing some ridiculous notion of ‘fairness,’ as though we really should weep for them and their failing business models, when in fact this is really one set of big businesses jockeying for position against others, and trying to use government to act where they’ve failed in the market. If MFA fails, it’s because these clowns failed to make a good argument, because they have. And let’s be clear: Amazon is crushing them with better service and selection, not sales taxes. But on the other hand, I don’t buy the arguments against MFA, either. Sure, people don’t want to pay the taxes, but if you don’t like it, try moving to a state with lower taxes. Also, if you don’t pay sales taxes, states are just going to have to find new revenue sources to replace it, unless you think you’re going to find new and higher spending cuts out of the blue here, something conservatives at the state level just haven’t done. And lastly, there’s no ‘fairness’ argument the other way, because the retailers at no time are being forced to pay anything, just collect. Nor do they have to do anything that the big boxes don’t have to do, as they already have to have software the complies with many different states’ ridiculously complex laws on sales taxes. And note that the current big boxes have to comply with the laws as-is, not the simplified ones that MFA would require. So, sorry guys, there’s no ‘fairness’ argument here either way. Let’s cut to the chase: You want to pay lower taxes? Go to your state legislature and lower taxes. Here’s an interesting development in federalism and regulation: City of Arlington v Texas attempts to defang FCC by challenging its ability to grab power on its own, and define its own jurisdiction. Interesting. Note that this is Arlington, Texas. Arlington, Virginia is a county, and is so left-wing it would never dare to do any thing but submit to Dear Leader. FCC reform continued: improving the Spectrum Screen would be good, if it results in fair and consistent decision making from the FCC. Sadly under Obama, I don’t count on either. The Spectrum Screen, by the way, is the set of rules the FCC uses to determine whether one company has too much of the stuff. Too much spectrum is hard to come by in the current era of fast, transformative 4G wireless. Intrade is a toy predictive market that doesn’t compare well with polling yet, but it’s still a clever idea that needs to have the boot of government removed from its neck. Now. Back off, CFTC. There are no actual commodities involved there, so this is a power grab, nothing more. And we’re still getting a curious silence from Barack Obama on the ITU treaty even as foreign powers hijack the negotiations to press for an end to freedom on it.